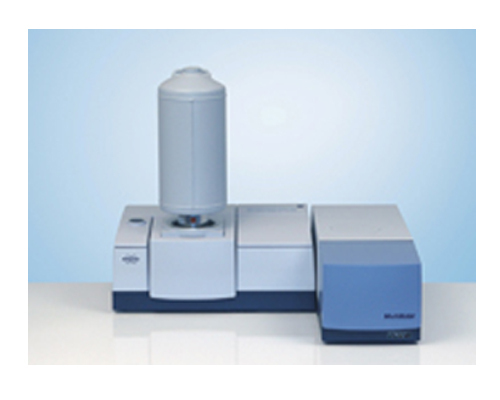 FT-RAMAN spectrometer is a multiRAM, stand alone model. The spectral range is 4000 – 50 cm-1. The laser source is Nd: YAG 1064 nm. The spectrometer has a large sample compartment to accommodate different sample formats, from powders to liquids in vials.